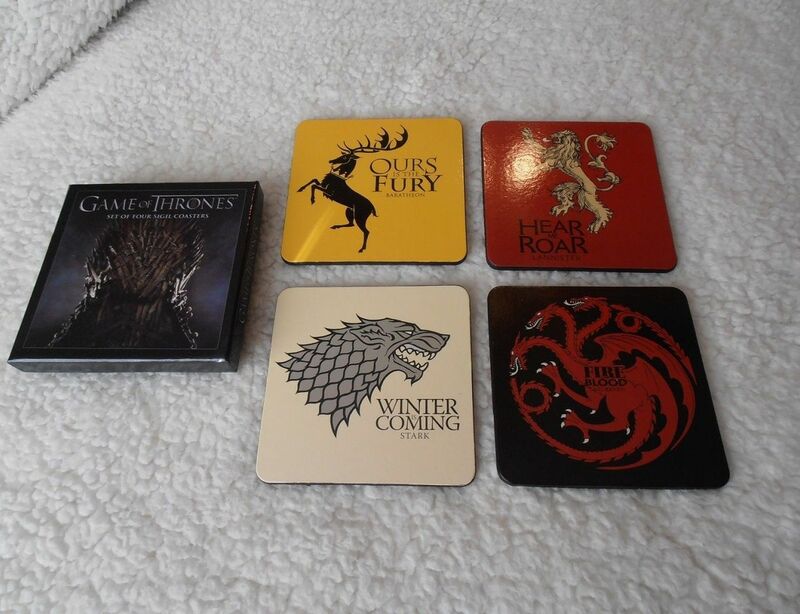 This set of coasters from Dark Horse is a must for fans of HBO’s Game of Thrones. 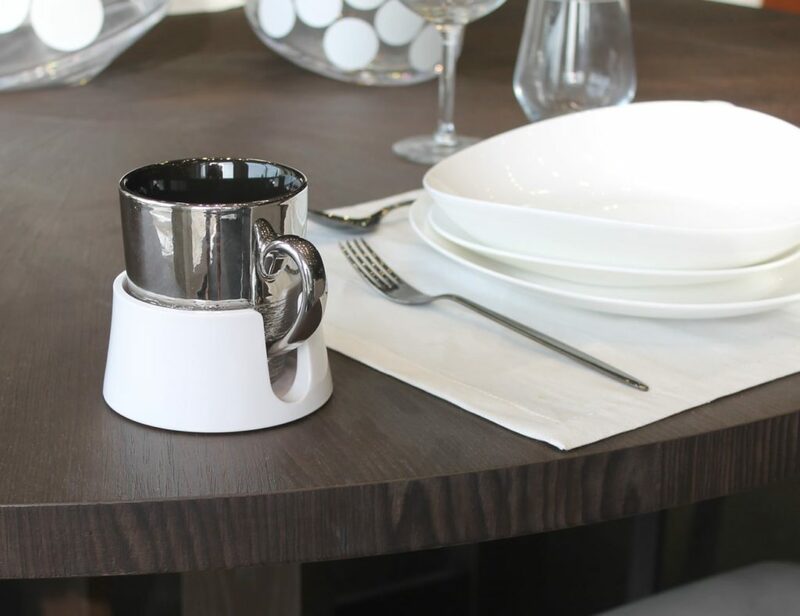 This is a licensed product, and the four coasters you get will quickly become a prized possession in your family. 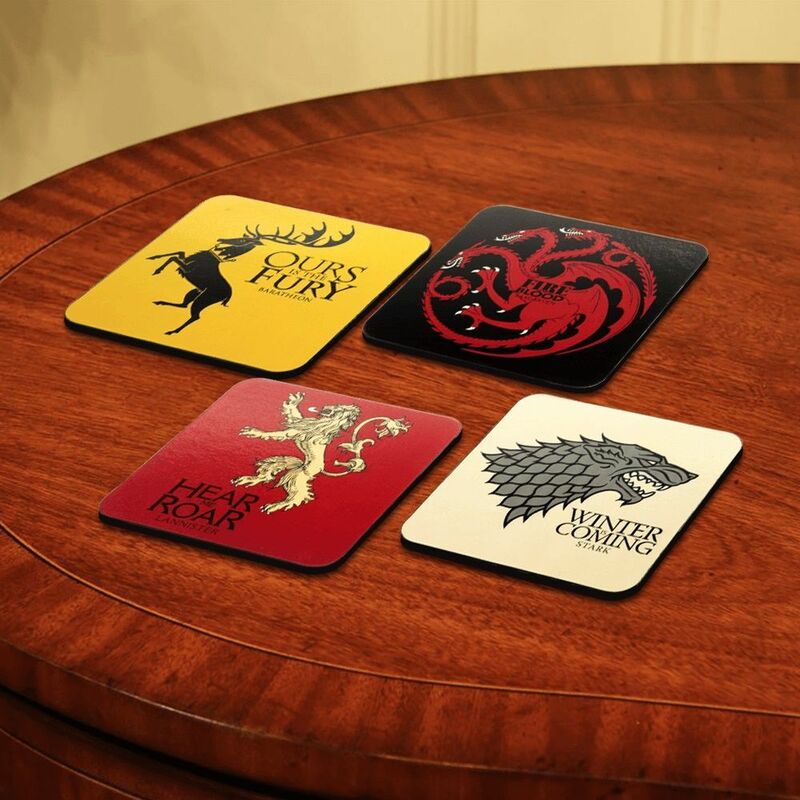 Each one bears a sigil from one of the four royal houses. 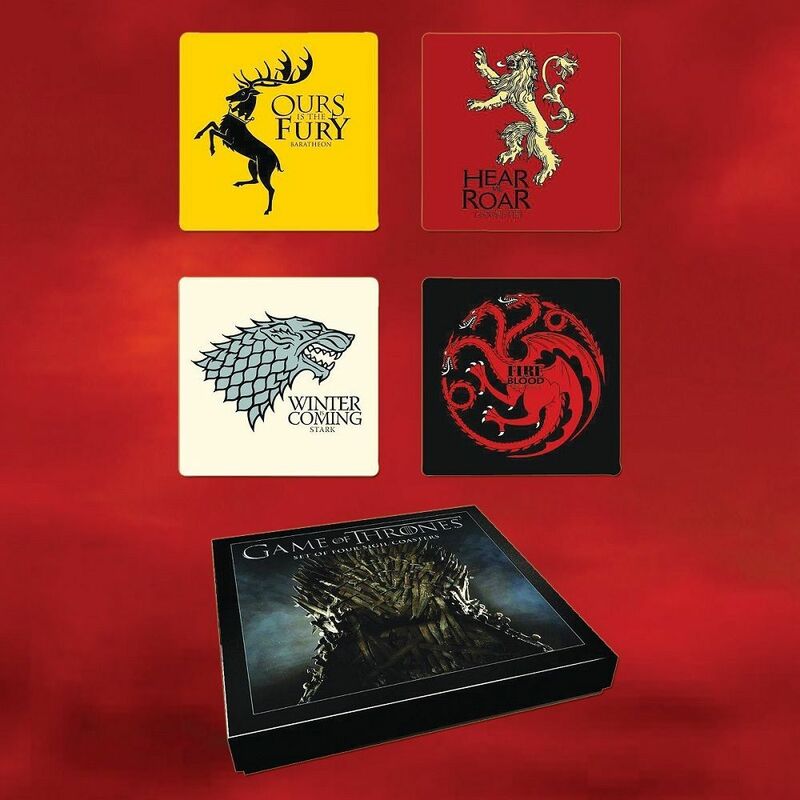 You’ll soon be bickering over who gets to use them just the families in Westeros fight over the Iron Throne.